Mgahinga Gorilla National Park sits high in the clouds, at an altitude of between 2,227m and 4,127m with a size of 33.7km2. As its name suggests, it was created to protect the rare mountain gorillas that inhabit its dense forests, and it is also an important habitat for the endangered golden monkey. Uganda’s smallest and probably most scenic National Park is situated in the extreme South-Western corner of the Country, forming part of a large conservation area that straddles political boundaries to to include Parc de Volcanoes in Rwanda and Parc de Virungas in the Democratic Republic of Congo. Three extinct Volcanoes, part of the spectacular Virunga range, lie within the boundaries of the Ugandan portion of this biologically rich area. Mountain gorillas form the main attraction at Mgahinga National Park, which protects the Ugandan portion of the Virungas, an imposing string of nine freestanding extinct and active volcanoes that runs along the border with Rwanda and the Congo. 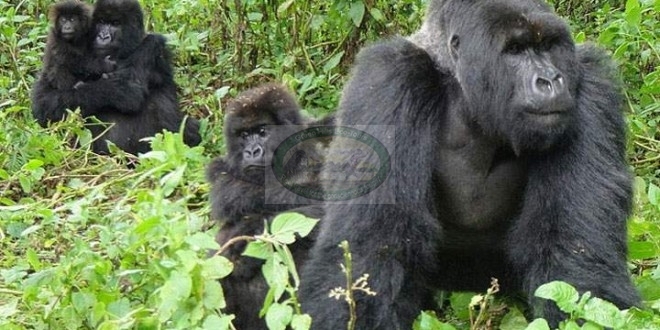 Gorilla trekking (Gorillas are at times cross border)– Permits must be pre-booked at the Uganda Wildlife Authority offices in Kampala or with Green Hills Ecotours as Tour Company. Nature Guided walks through a variety of wildlife, Volcano climbing at Muhavura, Sabinyo and Gahinga, Bird watching and monkey viewing. Mountain Gorilla Adventure is a must! Contact Green Hills Ecotours:ecotours@gmx.com for your lifetime experience.All of our tours are private & can be customized to your style, schedule & budget.